The Secret Sharer by Joseph Conrad, narrated by Patrick Horgan. 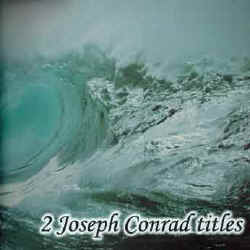 "The Secret Sharer", written by Joseph Conrad, is one of the truly great modern short stories. It examines man's struggle for identity, fulfillment and maturity. The struggle is hard, lonely and painful. The story is told from the point of view of the captain of the ship. A fugitive outcast, Leggatt, climbs aboard the captain's ship. He explains that he has swam a great distance and that he has killed a man. Before we meet Leggatt, the captain refers to some of his own actions and thoughts as eccentric and worries what his crew must think of him. He accepts Leggatt aboard his ship, and it is at this point that we, too, must ask ourselves the same question. The narrator asks us to accept certain truths, particularly as they regard the mysterious similarities between Leggatt and the captain, both in character and physique. As critical readers, we need to examine these similarities and question the reliability of the narrator. While the story offers tangible evidence that brings the tale to a likely end, it presents a challenge to the reader, for it is ultimately up to us to determine the purpose of the tale, and the satisfaction of its conclusion. The unabridged mp3 CD audiobook also contains another famous novel from the pen of Joseph Conrad, 'The Heart of Darkness'.